There is something odd in making a documentary film about a movie director, but, then again, most film helmers aren’t as iconic—or offer as much material—as Steven Spielberg. Susan Lacy, who is most often associated with PBS fare like her American Masters projects, had this task in mind when she signed on to chronicle the career of, arguably, America’s most commercial director, in the HBO film, Spielberg. Lacy spoke to journalists about her project, which premieres this fall on the cable channel, when she appeared at the show’s Television Critics Association panel on Wednesday at the Beverly Hilton hotel. Below, she shares some of her highlights from the experience. 1. Surprisingly, Spielberg was an open book and there was nothing about himself that he was opposed to seeing on screen. She says she did a series of about 17 two-hour interviews with Spielberg over the course of a year. 2. He was also incredibly “articulate” and enthusiastic about the details of his movies. 3. When Spielberg cares deeply about something, he wears his passion openly. 4. The film takes on the dichotomy of the man who made Raiders of the Lost Ark and Jurassic Park, as well as Saving Private Ryan and Schindler’s List. 5. It’s unbelievably difficult to schedule interviews with famous people. Lacy says she spoke with Spielberg’s stars like Lincoln’s Daniel Day-Lewis and Saving Private Ryan’s Matt Damon and they all commented on his dedication to the craft of storytelling. 6. Composer and frequent Spielberg collaborator John Williams is in the film. 7. The late Melissa Mathison, who wrote E.T. and Vilmos Zsigmond, the cinematographer for Close Encounters of the Third Kind also appear. 8. However, Spielberg’s wife, Kate Capshaw, declined to participate. 9. 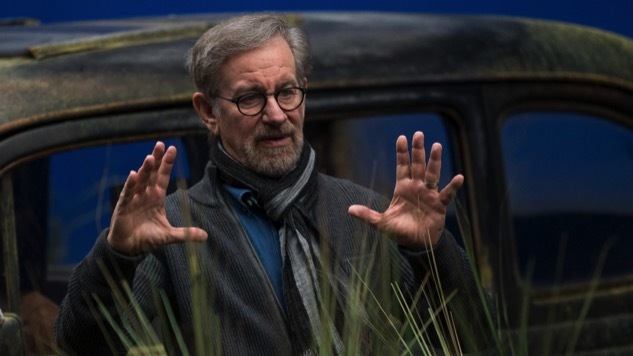 There is brief talk of Spielberg’s dicey success with the Academy Awards. 10. There’s also talk about movies like The Color Purple and Indiana Jones and the Temple of Doom, which received less critical acclaim. 11. Some of Spielberg’s other endeavors are there, but in limited capacity. 12. This is also not a film where a beloved director comments on the modern state of filmmaking. Instead, they talked a lot about the directors from the ’40s. 13. Spielberg turning 70 may have benefited the project. Lacy isn’t sure why Spielberg was so open with her, but she wonders if it has something to do with the fact that he recently turned 70, and he’s reflecting upon his life. Spielberg premieres Saturday, October. 7, exclusively on HBO.